The density log is part of the logging sondes that require a radioactive source with at least two detectors. It is unlike the natural gamma ray sonde that measures naturally emitting radiation from the formation. Density measurements are important and provide information on formation bulk density which can give computed porosity and formation lithology characteristics. The radioactive source is applied to the well bore wall in a shielded sidewall skid that emits gamma rays into the formation. These gamma rays collide with the electrons in the formation thus loosing some energy (Compton scattering) The denser the formation, the more electrons are presented, and the more energy is lost due to collisions. This energy loss is directly related to porosity. 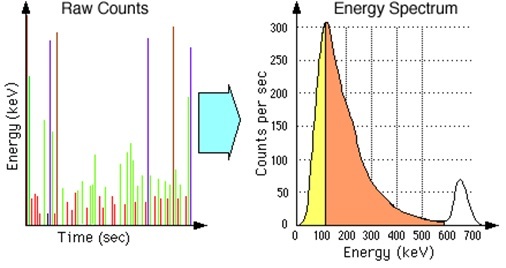 The measurement gamma rays are in counts per second (cps) which after the tool is calibrated, the bulk density can be found. – It can also be used to determine hydrocarbon density, determine oil shale yield and over pressured zones. 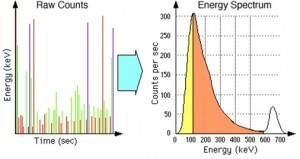 Density data is a principle measurement used in mining and oil & gas applications. 1. Sidewall Formation Density Sonde – (55mm OD) – For calibrated quantitative formation density logging. Includes 2 detectors at 47 and 25cm spacing. 2. Sidewall Formation Density Sonde – (55mm OD) – For calibrated quantitative formation density logging. Includes 3 detectors at 47, 25, and 14cm spacing.